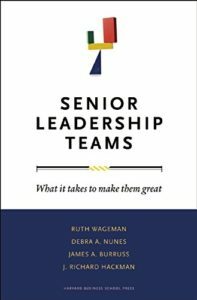 If Your Senior Leadership Team Needs To Be More Effective, Get this Timeless Book - The Jackie Sherman Group, Inc.
Do I really need a leadership team? How do I define the purpose of my team? Do I have the right people on the team? How should I structure the team? What organizational support do I need to provide the team? Who can coach a team of leaders, and how they should do it? Whether I’m engaged to consult on the start-up of a new top team, or work with an existing one, I refer to these questions and the model in this book. For example, often I found that while a CEO may be clear about what (s)he wants from their team, unless they have an explicit conversation with the whole team, everyone has a different idea of why the team exists. Agreeing on what the top team should do is the central issue for the team – “What important work cannot be done by any single leader or by any other team?”. Once the CEO and team are clear on this, it drives who needs to be a member, how the team should be structured, and the support it needs. Let me know what you think of these authors’ ideas and questions. 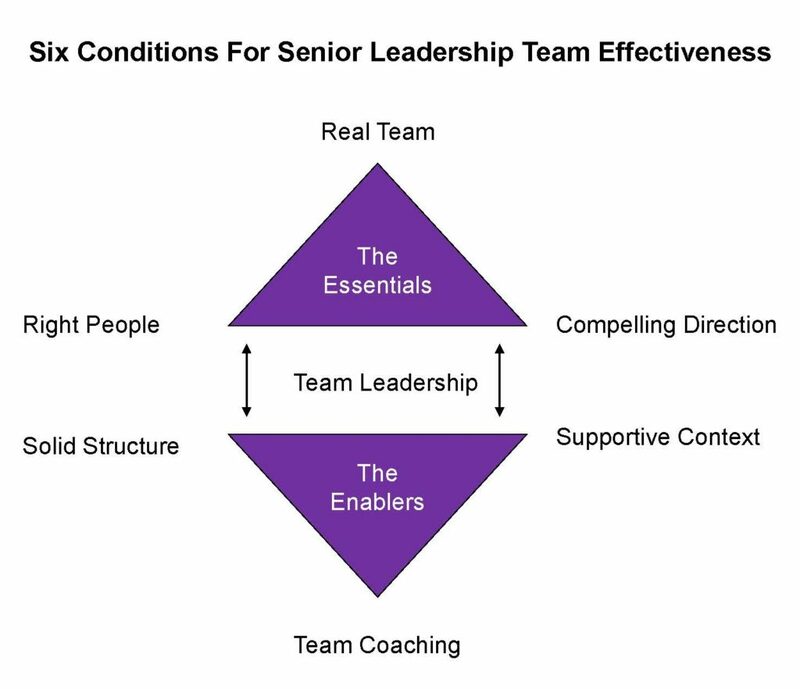 How does your senior leadership team stack up? What opportunities do you see for improving its effectiveness?